I'm often asked which ramen place is my favourite in Singapore. We really are spoilt for choice here with over 50 ramen shops, and it's so easy to be jaded, but I can now emphatically say I have found the one I like best and it's no other than the fairly new Menya Sakura at 69 Boat Quay. 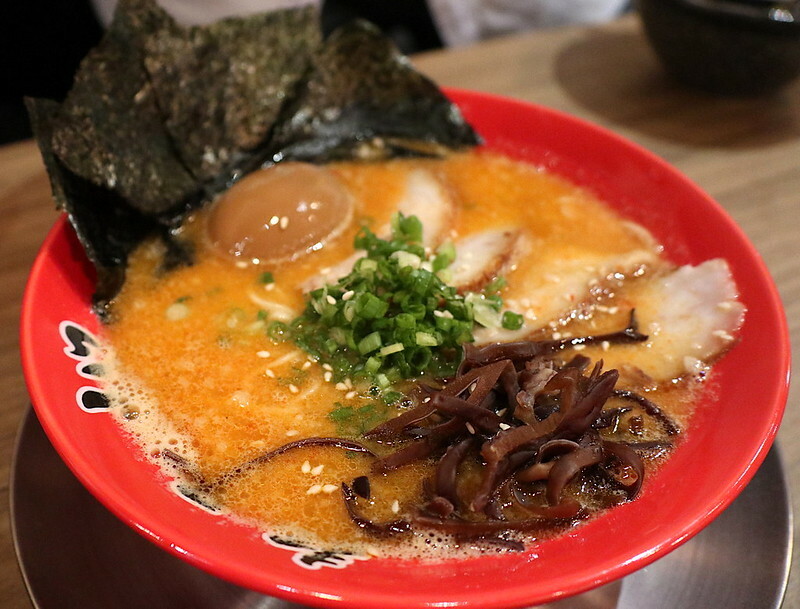 Menya Sakura serves Nagoya-style ramen which is characterized by hearty soups carefully brewed from both selected meats and seafood to achieve the best combination of flavours from the land and sea. The ramen here is, in a word, DIVINE. 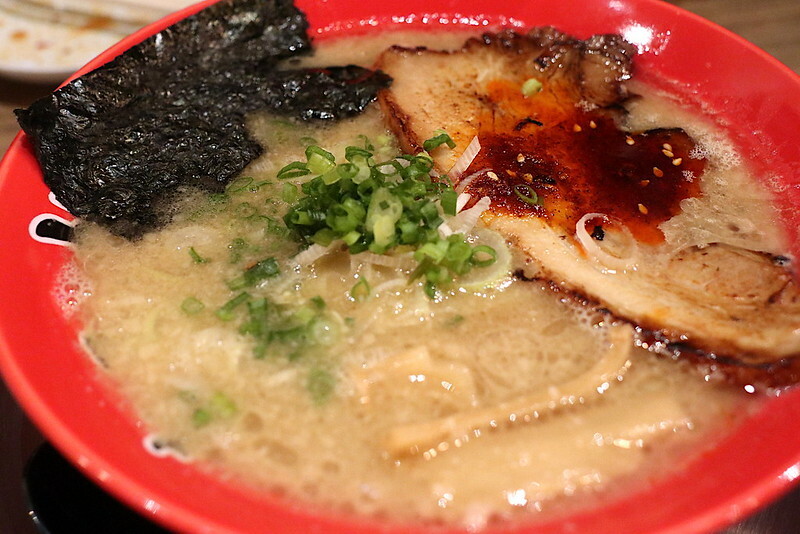 Good ramen is not about the broth being rich or intense; the taste and mouthfeel have to be well-balanced. 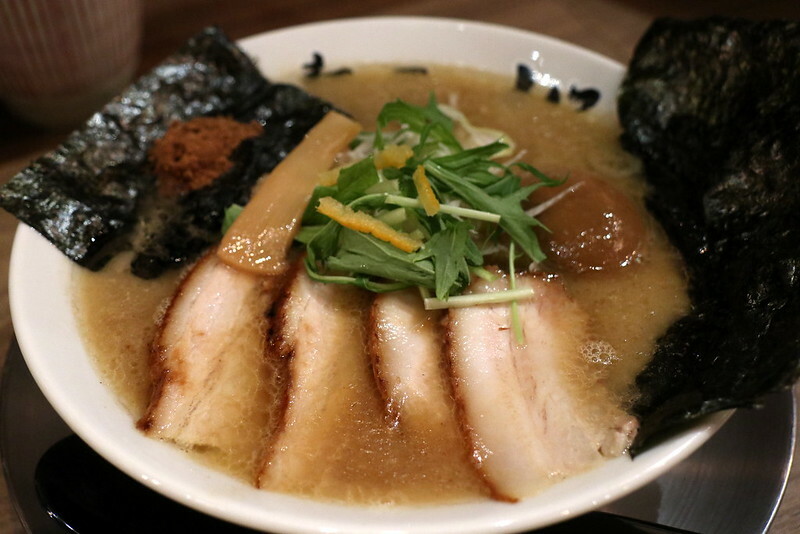 The flavours at Menya Sakura are finely tuned and clearly done with an artisan's pride. Menya Sakura is co-owned by the keenly talented Chef Sho Naganuma who was formerly executive chef at Hide Yamamoto at Marina Bay Sands. His former culinary team has joined him at Menya Sakura now, a clear sign of his likeable leadership. Sho is a native of Nagoya in Japan, and his childhood friend is the owner of Menya Sakura there. They partnered to bring the brand here, and being friends, they shared all the cooking secrets on how to replicate the ramen. Chef Sho himself cooks in the kitchen; he makes sure the four broths and two master sauces are on point. He may be a celebrity chef with TV shows but guests have been impressed that he's also welcoming them personally and serving tables. The Gyokai is the clear favourite with everyone at our table. The rich tonkotsu is blended with dried seafood and aged soy sauce imported from Japan, thus amplifying the umami factor. Stir in the scoop of dried bonito powder and enjoy. The first slurp was a completely "Wow" moment for me. The chashu also blew our minds. It's well-marinated and fork tender. 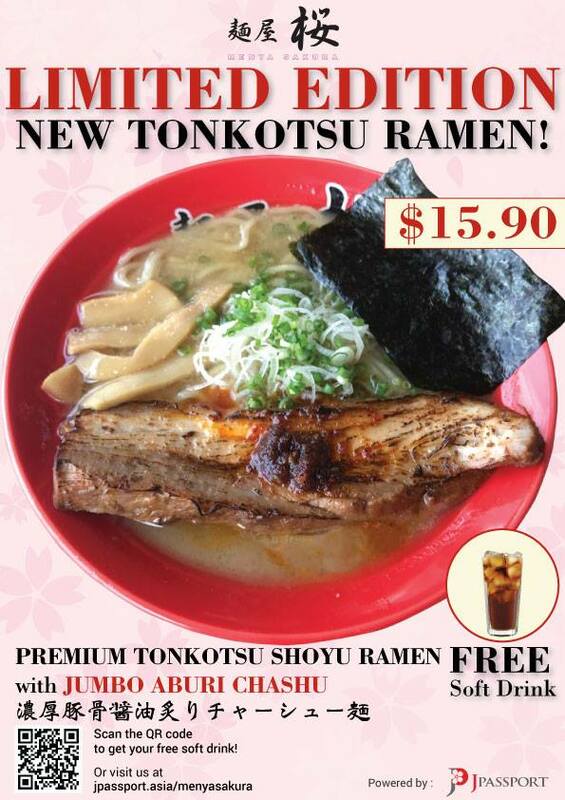 Coming in at a very close second is the new premium tonkotsu shoyu broth. The stock is boiled for 12 hours using selected pork bones with aged shoyu sauce. 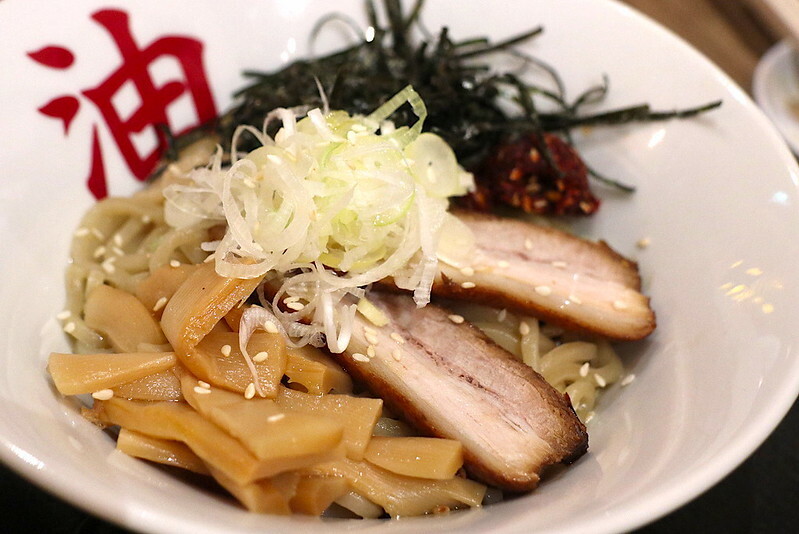 For this ramen, chef chose a flat “hirauchi” noodle to go with the rich soup. It's topped with a huge slab of chashu that's been aburi or torched. 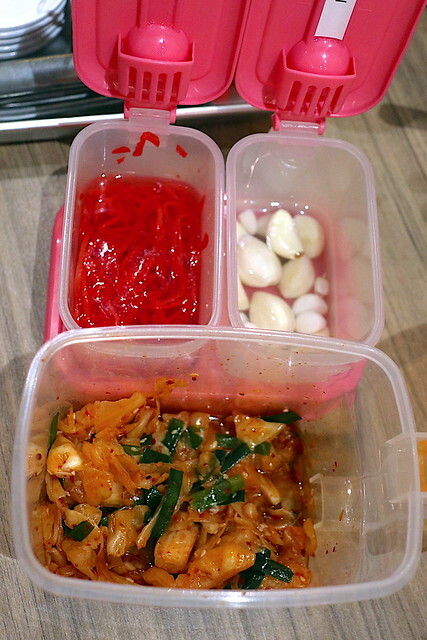 It's got an umami paste and a smidgen of chili oil that livens it up even more. 2) Show the staff you have "liked" and "shared" their Facebook page when you order. Chef actually created this spicy bowl for the Singaporean palate. It's not just gently spicy but less salty and oily. So it's probably good for those who aren't used to original Japanese ramen. But we prefer the ones where he keeps it more authentic - like the two above - just give us those robust, all-in flavours! 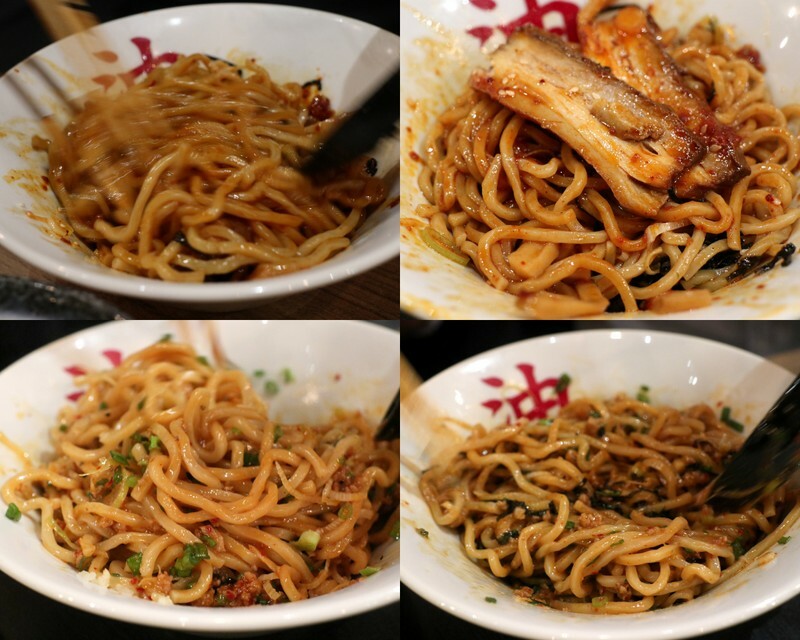 Menya Sakura's version of chuka soba is also impressive. It's clean-tasting yet full-bodied, featuring three kinds of Japanese fish (saba, ago, niboshi) in the dashi stock blended with chicken stock. This is Menya Sakura's signature dipping noodles. 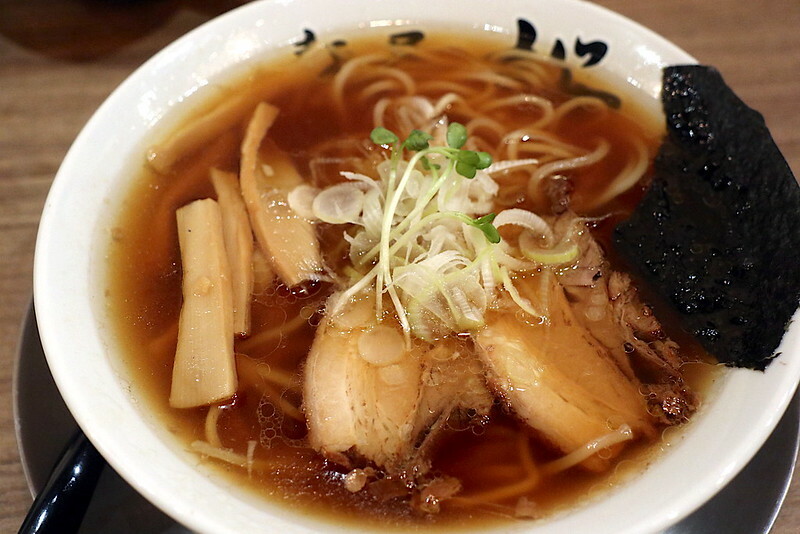 Thick noodles are chosen to better match the concentrated tonkotsu and seafood broth. The chashu pieces are also sliced thicker for the same purpose. This is certainly one of the better tsukemen I've tried. When you have finished dipping the noodles, they will also serve a clear hot stock for you to add to the remaining broth to make it drinkable. Aburasoba (abura means oil) is now a popular Tokyo delight. 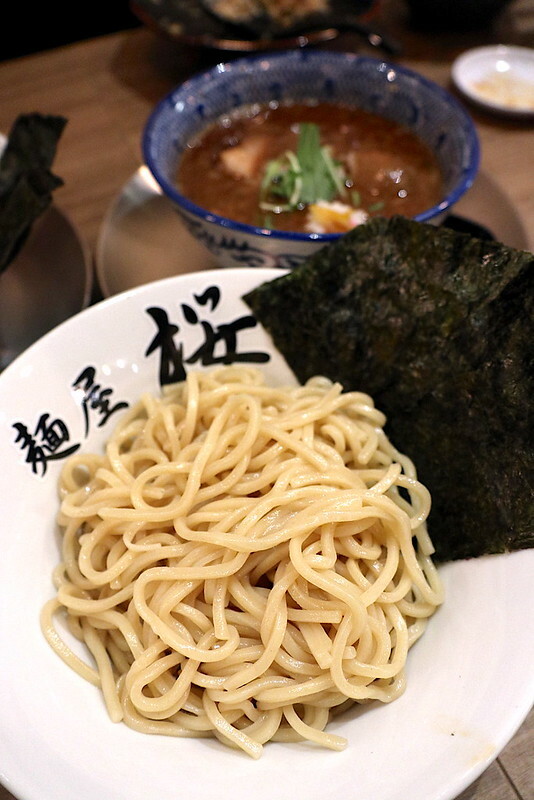 It is also a dry noodle but differs from tsukemen in that the sauce is already at the bottom of the dish. There's a spicy version too, with blended chillies. 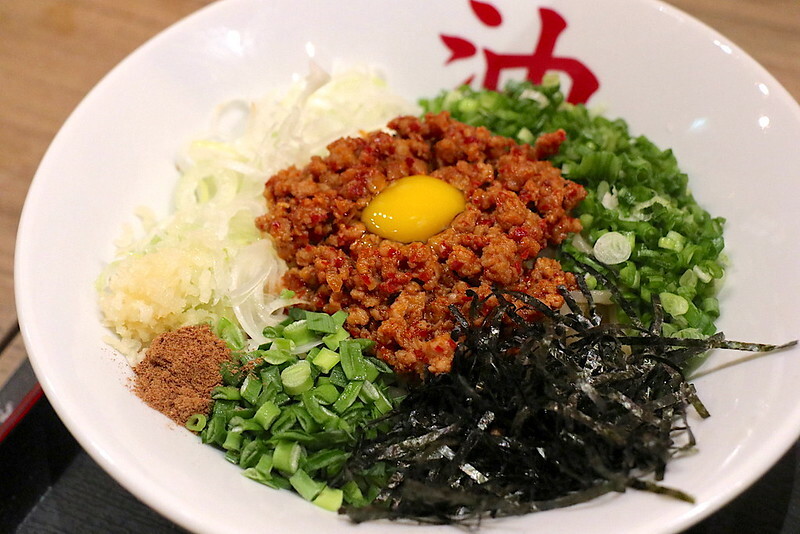 Popular in Nagoya is this Taiwanese-style mazesoba (maze means mixed) topped with a lightly spicy minced pork seasoned with garlic and black pepper. Chives, bonito powder, scallion, nori and onions make it colourful and crunchy too. For both the aburasoba and mazesoba, you are to mix it all up and stir it well! Rice fiends, fret not - there's a variety of rice dishes here too. 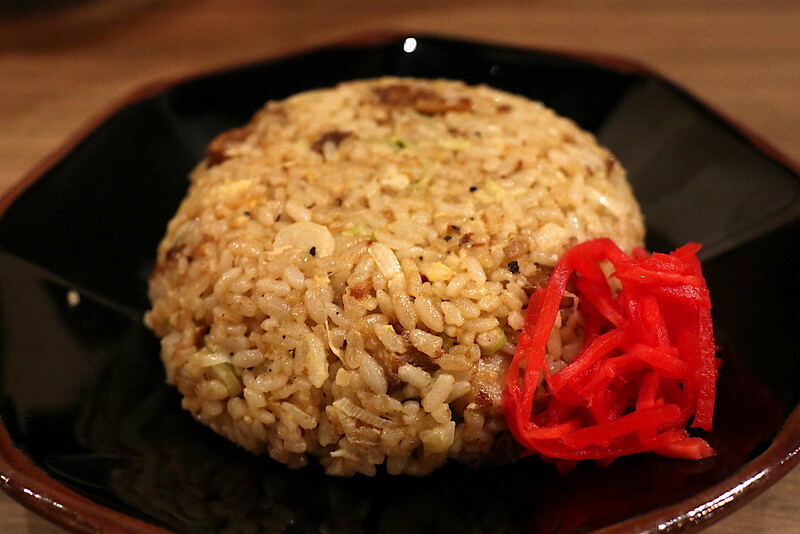 The fried rice is moist and studded with chashu cubes. Lots of garlic and onions in this too. Yum. This is not the dry-style fried rice; the Japanese rice is still fairly wet. There's also a truffle and onsen egg rice that I have to come back for. Menya Sakura also has a fairly comprehensive side dish menu. Think gyozas, eihire, moyashi, smoked duck, aburi chashu, cucumber salads, spicy bamboo shoots, cold tofu and so forth. These would be perfect with drinks. There's sake, whisky, beer and other tipples to choose from. For dessert, there's Kumamoto purple sweet potato ice cream with Fukuoka sea salt! But we were too full at this point. Another item that calls for a return visit. Menya Sakura takes care of the little details. I was surprised to find fresh garlic for grating. They give you a garlic press. Make use of it! Fresh garlic adds a totally new dimension to your ramen, making it even better than you thought possible. Factory pre-minced garlic, on the other hand, is simply vile. The pickles are good too. Also, the hot green tea we had? Really quite enjoyable! It's how they take care of the small details that show the pride they take in their offering. 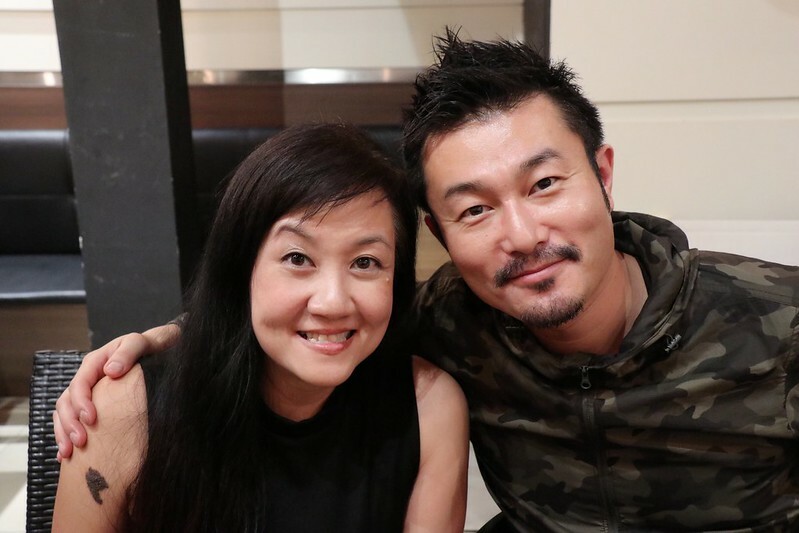 It was so nice to catch up with Chef Sho; it's been a few years since I last saw him. He has some interesting plans coming up. Meanwhile, you can check out his DBS Masterclass with recipes! ありがとうございました, Chef Sho for the warm hospitality! All photos (except final one, photo credit: Ayaka) taken with the Canon EOS M5 kindly loaned by Canon Singapore.